Brilliant minutely hazy amber color. Bright, vegetal, piney fruity yeasty aromas and flavors of honey baked apricots and parsnips, stewed mustard greens, dried coconut, and hint of glue with a silky, bright, effervescent, fruity sweet medium body and a seamless, breezy finish displaying overtones of grass, praline, and pepper finish. An earthy, slightly vegetal IPA for the table. 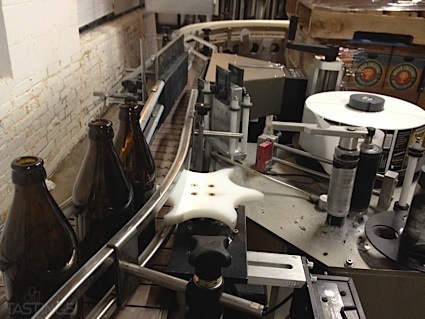 Bottom Line: An earthy, slightly vegetal IPA for the table. American style IPAs are deep gold to amber in color and fall between 5.5-7.5% in alcohol. They are characterized by floral and citrus hop aromas and a distinctive hop bitterness on the finish. This style originated in the 19th century when British troops and colonizers were working to develop an alternative to their standard ales in order to withstand transport to India. Today, US craft brewers have claimed the style as their own with assertive Pacific Northwestern hop varieties that stand out. Noteworthy examples of this style include: Laurelwood Workhorse India Pale Ale, Oskar Blue’s Deviant Dale’s IPA, Three Floyds Alpha King and Founder’s Centennial IPA. 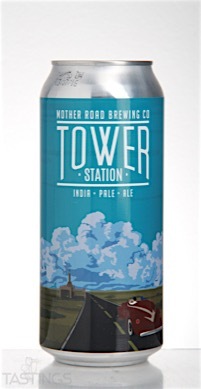 Mother Road Brewing Company Tower Station IPA rating was calculated by tastings.com to be 81 points out of 100 on 4/6/2016. Please note that MSRP may have changed since the date of our review.